Although double-ended lamps existed since the 1890s, they only became popular after Alfred Beuttell's 1901 invention of the 'Linolite' lamp. These were made according to standard lampmaking methods with a glass-to-wire seal at each end of the tube. This introduced a dead-space beyond which the filament could not extend, frustrating attempts to create continuous lines of light. In 1932 German Osram introduced its improved 'Linestra' lamp, with the glass-to-metal seals being brought out through the tube sides. This allowed the filament to be extended right to the ends, but the cost is rather high due to the more complex manufacturing. 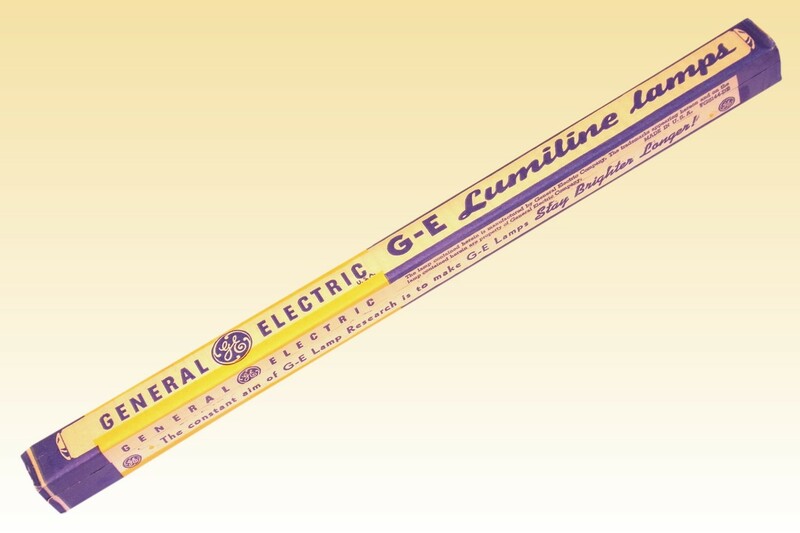 In 1934 GE launched this 'Lumiline' lamp, developed by Paul O. Cartun. The filament extends almost to the ends via a much simpler lamp design. 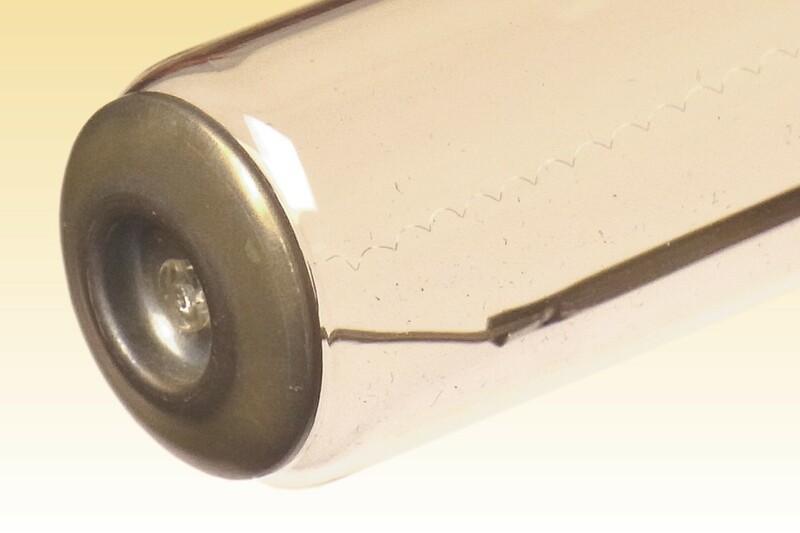 Instead of sealing metal wires through the glass, the ends are closed by a pair of metallic discs. These are made of 'Allegheny 55' alloy consisting of 29% chromium in iron, whose thermal expansion coefficient is a close match for soda-lime glass. The discs are cup-shaped for high strength, and bear a central depression. These mate with a par of low profile snap-on annular spring terminals which mount the lamps into their holders. 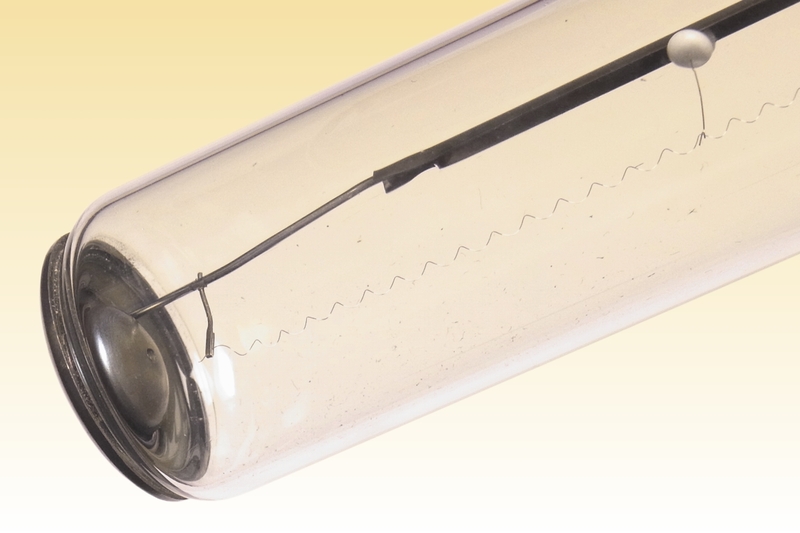 One of the discs has a small hole at its centre, over which a small diameter glass tube is fused - this is used to exhaust the lamp, before being sealed off. 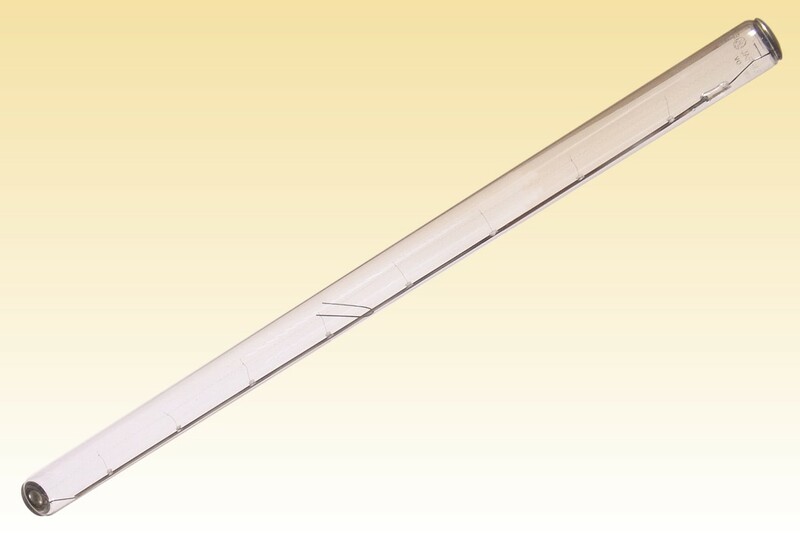 The filament is supported by fine molybdenum wires, carried by small glass beads fused into a U-shaped metal spine. One end is welded to one disc, and the other makes contact via a sprung wire. 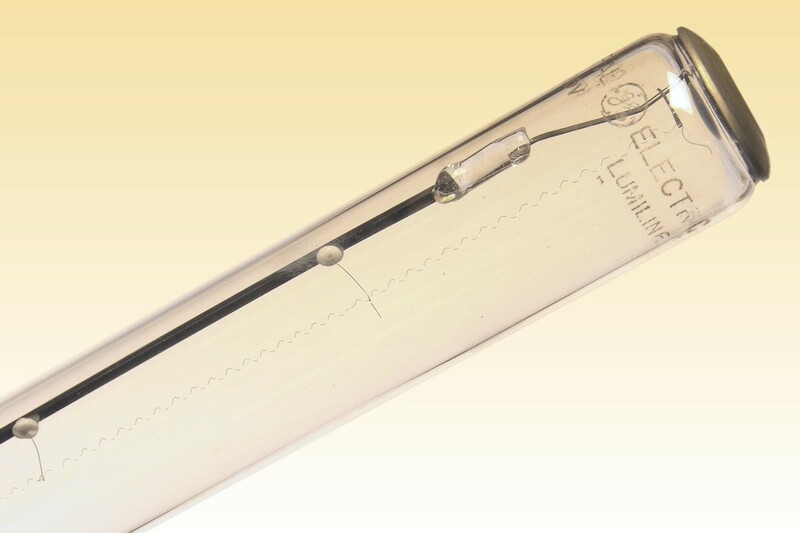 The first Lumiline lamps were introduced in 15W and 30W ratings of 18" length. A high brightness 40W 12" lamp later appeared, followed finally by this 60W 18" model.